A heavy duty steel Cradle is also available by separate negotiation. Life Raft is out of date. This example is striking to view with a professional respray in June 2018 and has been continually improved by the current owner. She has been cherished and it shows throughout the Yacht. She is spacious and light, the upholstery is like new and the interior is in great condition throughout. She has a suite of sails and running rigging all in good condition and is clearly sailed on a regular basis. She is also taken out for the winter each year. With a new 2015 engine, and just been put back in the water in July 2018 after anti-fouling, new anodes and an engine service she is ready to be sailed away for this season. This is a special little yacht that will turn heads wherever she goes and will give a family or crew great fun for years to come. 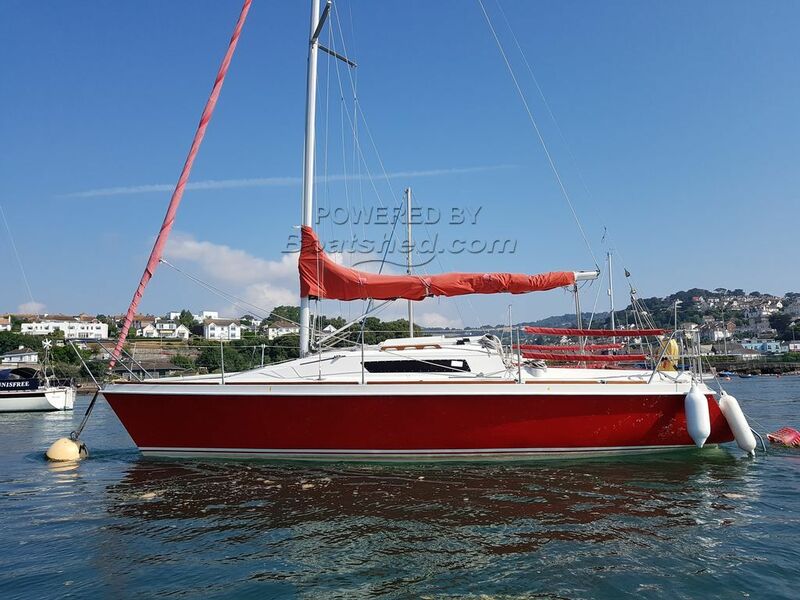 This Laser 28 RF 290 Red Fox 290 has been personally photographed and viewed by Phil Key of Boatshed Torquay. Click here for contact details.